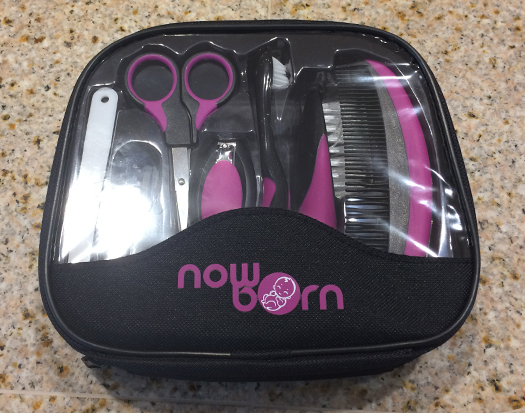 This cute baby grooming kit has everything parents, old or new, will need for their newborn. 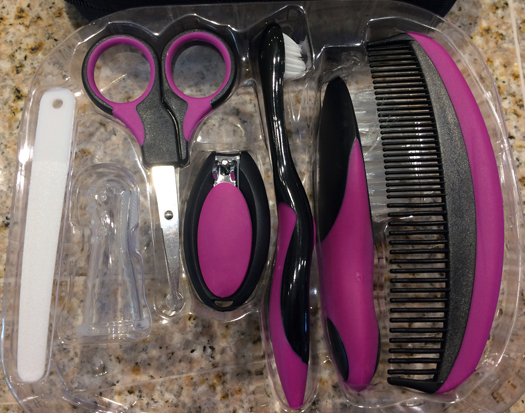 It comes with a soft bristle hair brush; comb, toothbrush; silicone finger toothbrush; scissors; nail clippers; and nail file. The sturdy storage bag is perfect for keeping your baby care tools together and organized. Oma likes how the tool’s purple accents make this a great gift for either a boy or girl. This kit comes with a thirty-day money back guarantee. SAFETY FIRST – Our Baby Kit is made with an easy grip material that will ensure that you have steady hands while attending to your baby. This is especially important for the nail clippers and scissors. 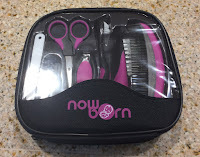 PRACTICAL INCLUSIONS – Inside your carry bag you will find all you need for your baby’s care; soft bristle hair brush; toothbrush; silicone finger toothbrush; scissors; nail clippers; nail file. CONVENIENT CARRY BAG – The zip up carry bag will ensure your Grooming Kit fits neatly in your diaper bag, or handbag for your trips away. Or store it away easily in a draw. EYE CATCHING COLOR – Half the problem of grooming time is keeping your baby occupied. The bright colors of your grooming kit makes it easy to catch their attention and give them a brush or comb to play with while you work your magic. FANTASTIC GIFT – Adorable and practical. This is the ‘sure thing’ gift for any mother. Great baby shower gift!